A BRAND new 83 bedroom luxury hotel has been proposed in the heart of Mayfair. The new “world class hotel in the heart of Mayfair” would be run under LMVH’s lavish hotel brand Cheval Blanc and include restaurants and a spa. The Foster + Partners-designed scheme includes two separate buildings linked at ground level, rising to seven storeys in Grafton Street and eleven storeys in Bruton Lane. All of the existing site would be demolished including the Grade II-listed shopfront for Wartski jewellers and a 70s office block designed by Seifert & Partners. 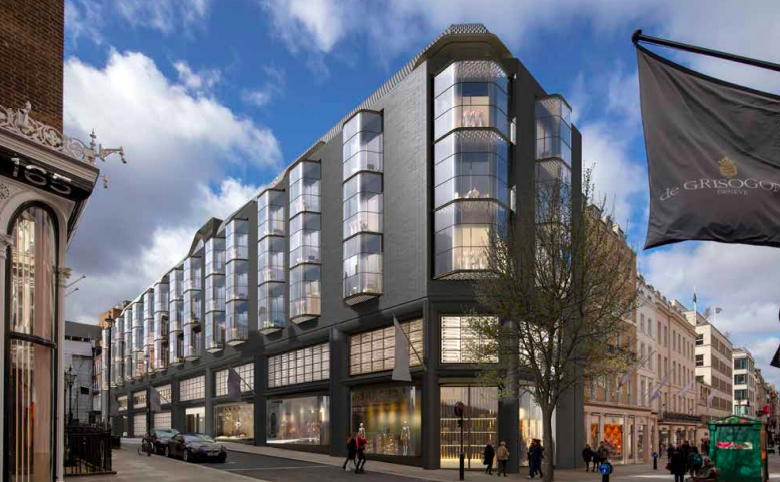 Documents submitted with the planning application say the new hotel design is a “modern response to the heritage of Mayfair.” The scheme also includes improvements to the public realm in Bruton Lane and Grafton Street. ELEVEN people were rescued by the London Fire Brigade after a fire in Hill Street last Friday (1st March). Emergency services were notified shortly after 0530 after a smoke alarm alerted residents to the fire in a block of flats. Forty firefighters from Soho, Paddington, Chelsea and Kensington fire stations responded to the blaze, rescuing seven residents from the roof, one from a first floor window while the rest were led to safety via an internal staircase. “This was a very dynamic incident and firefighters worked fast to rescue 11 people from the block of flats… Firefighters managed to contain the fire to a first floor flat, greatly limiting the impact of the blaze on the surrounding properties. The cause of the fire, which was under control by 0700, is under investigation. Grosvenor Estate is still inviting feedback on planned changes to the “South Molton Triangle” area. 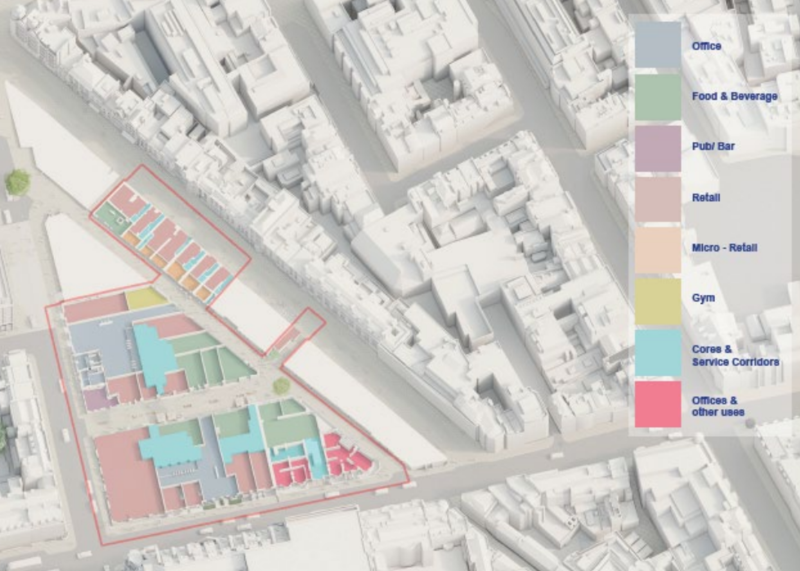 The major Mayfair landowner launched an online consultation last year showing the proposed changes to the area which will include South Molton Street, South Molton Lane, Davies Street, Brook Street and Davies Mews. Proposed additions to the area include brand new office space, retail space, micro retail units and a gym. A new passageway would open up a link between South Molton Street and South Molton Lane, while Davies Mews will “feel like a pedestrian area” with alfresco dining and be “the heart of the South Molton Triangle”. The Grosvenor Square hotel is currently undergoing an extensive £50 million refurbishment and is due to reopen this Spring as a deluxe five star hotel. The Biltmore, Mayfair, will be the first hotel in Europe to be operated under the new luxury hotel collection from Hilton called LXR Hotels & Resorts. In this centenary year of the end the First World War, here’s a look back to the role that Mayfair played with the use of some of its buildings as Red Cross auxiliary hospitals. These temporary hospitals provided space to convalesce for injured service men, taking the pressure off other hospitals. Many women and girls joined up as VAD (Voluntary Aid Detachment) nurses to help look after the wounded. HUNDREDS of items from the legendary Mayfair club Annabel’s will go on auction later this month. Annabel’s relocated from 44 Berkeley Square to a Grade I listed mansion at No. 46 earlier this year. Now, many items from the club’s previous address are available to buy at a dedicated auction at Christie’s in St James’s on November 20th. Artwork from the club’s collection available to buy include Sir William Nicholson’s painting of the Cenotaph from the year after the First World War ended. Other lots include paintings of the club by John Stanton Ward, a large Bodhisattva figure from the club’s Buddha Room, and an iconic red velvet corner sofa which Naomi Campbell once posed on. Click here to browse the items in the Annabel’s auction at Christie’s. FORTY firefighters from the London Fire Brigade attended a blaze at Curzon Street in Mayfair on Friday. Fire crews from stations including Soho, Lambeth, and Chelsea, were called to the fire at a restaurant with flats above just metres from the Saudi Embassy. The restaurant’s extraction system was damaged in the fire. The fire brigade sent six fire engines to the blaze after they were first called out at 09.17. The fire was under control 90 minutes later. A MODERN live-fire grill has been launched at the COMO Metropolitan London hotel in Old Park Lane, Mayfair. The Gridiron is a collaboration between COMO and chef Richard H. Turner, who is an expert in open flame cooking and ethical sourcing. Javier Beneyto, General Manager, COMO Metropolitan London, added: “At COMO, we take pride on working with chefs whose imaginations and technique come together to create a distinctive point of view. Gridiron by COMO will put generosity and warmth at the core of its food and service. 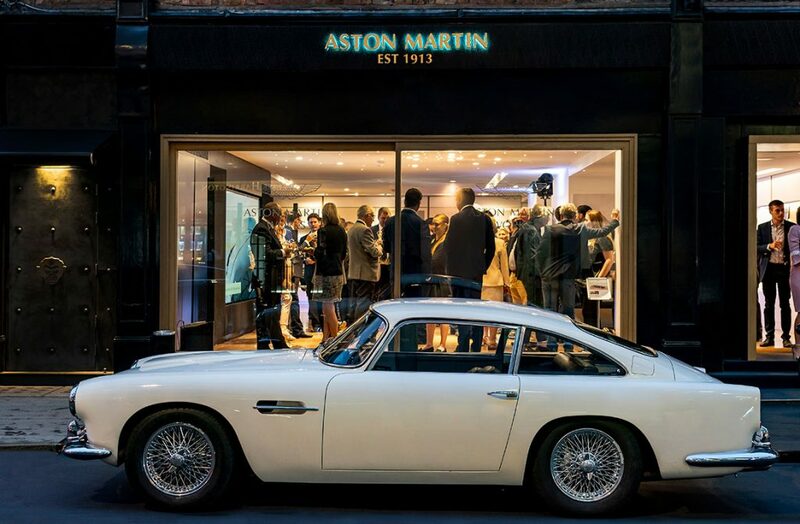 A NEW classic car showroom from Aston Martin Works has opened in Mayfair. The Works Heritage showroom is located with the Aston Martin Brand Experience Centre at 8 Dover Street. Paul Spires, President of Aston Martin Works, said: “The expansion of our Heritage showroom activity into Central London enables us to engage with our customers in the location where they work and live their lifestyle. As well as selling classic models, the new showroom will provide information about restoration services as the company’s Newport Pagnell factory. The Aston Martin Works Heritage showroom complements the Park Lane Aston Martin Mayfair dealership which showcases the full range of current Aston Martin models.